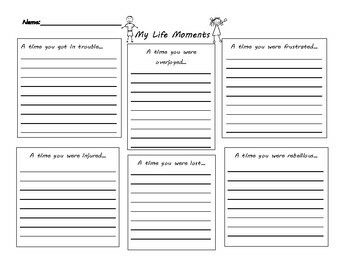 Here's a graphic organizer for a Personal Narrative asking students to think about their life moments! This worked great with my 7th and 8th graders to get them to brainstorm for their Personal Narrative essay. There are 6 boxes to fill in on this graphic organizer!